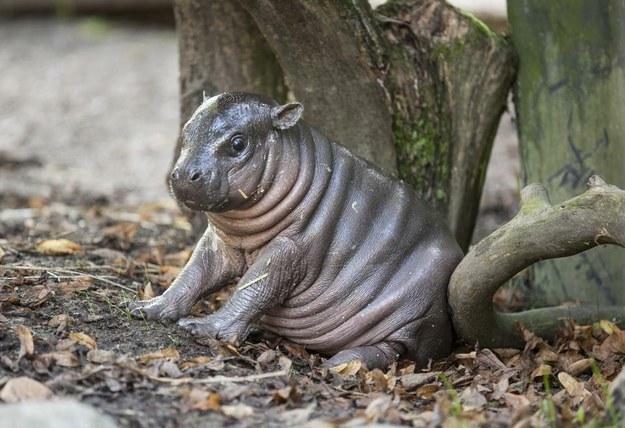 Parken Zoo in Eskilstuna, Sweden, is home to this stub-nosed bundle of wrinkly cuteness. 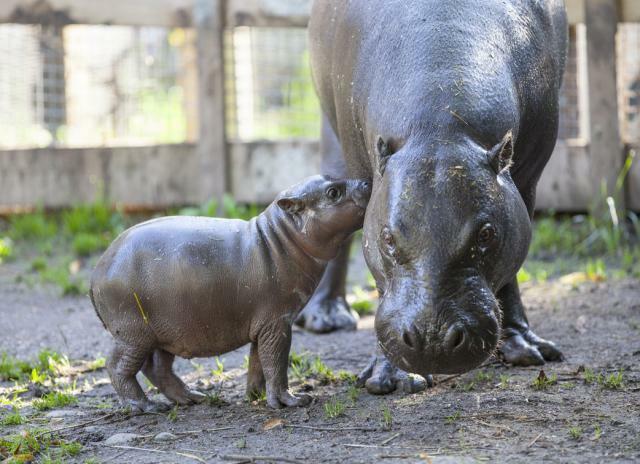 She's a 1-month-old pygmy hippo named Olivia whose wrinkles have already seen her keepers call her Michelin man, according to the BBC. 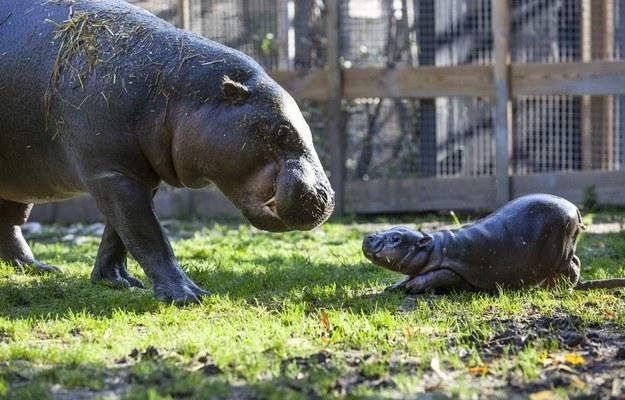 Here she is playing with her mother, Krakunia. Her dad is called Anton, and she was born under an international breeding programme. After spending two years with her mum, shell be sent off to another zoo in Europe, the BBC reports. 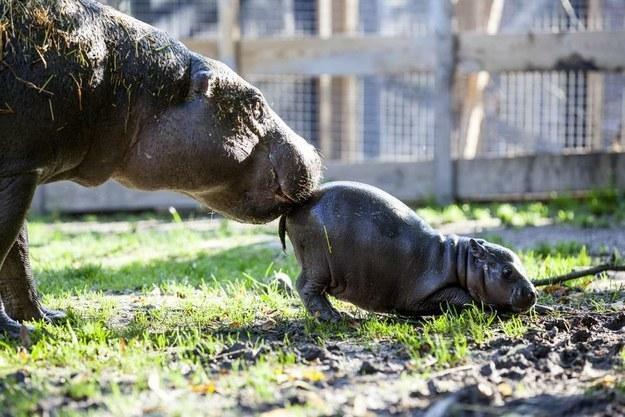 "She's the cutest little fatty you can imagine", Parken Zoo's Jennie West Anderson told the Aftonbladet newspaper. 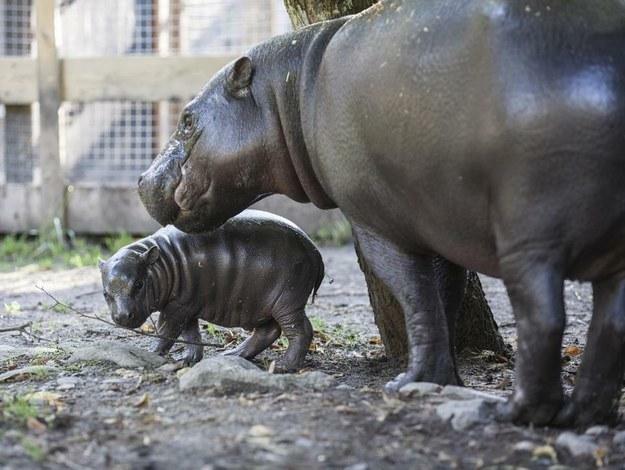 According to the zoos Facebook page, Olivia weighed just 13 lbs (6 kg) when she was born, so zookeepers are especially pleased with her current chubbiness. An earlier version of this post said Olivia weighed 6 lb when she was born. She in fact weighed 6 kg, which is just over 13 lb. She was still tiny, but not that tiny. Sept. 4, 2014, at 12:06 p.m.